One neighborhood, four love stories! Love and friendship bloom in a small-town neighborhood in California. Four romances trace the joys and challenges of interwoven characters, with guaranteed happy endings! The Family Next Door. A Heartwarming Love Story. How can a young widow fall in love with the man who denied her justice? Josh was the holdout juror who set her husband’s killer free. Now he moves in next door to Diane... and sparks fly as they work together to help their feuding daughters. To order: Kindle. Nook. Kobo. iTunes. Smashwords. 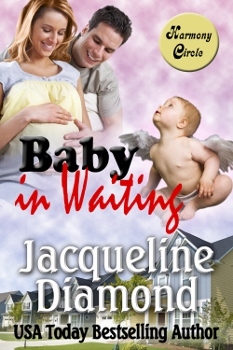 Baby in Waiting. A Delightful Romantic Comedy. When businessman Oliver rents his spare room to his zany friend Brooke, he doesn’t expect to have to rescue the mother-to-be from her wildly unpredictable decisions—or for her to save him from a near-catastrophic financial move. To order: Kindle. Nook. Kobo. iTunes. Smashwords. 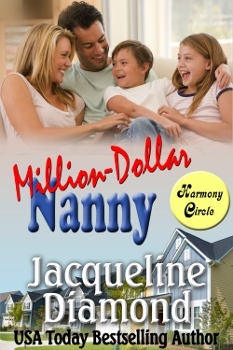 Million-Dollar Nanny. A Heartwarming Romantic Comedy. He’s an auto mechanic. She used to be rich and famous. Should he hire her as a nanny? 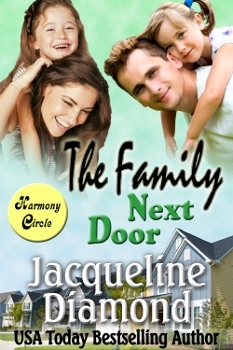 Although Rafe considers Sherry a snob, he urgently needs help with his orphaned niece and nephew. Soon, her sunny spirit wins him over. But when she regains her fortune, will she vanish, taking his heart with her? To order: Kindle. Nook. Kobo. iTunes. Smashwords. Doctor Daddy. A Medical Romance. 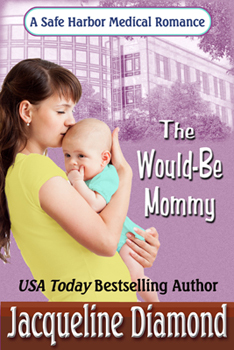 Dr. Jane McKay longs for a baby and the right guy. That definitely isn’t Dr. Luke Van Dam, the ex-lover and single dad who joins her small-town medical practice. As friends, they share sparks and laughter, but Jane won’t risk a repeat heartbreak and Luke has a lot to learn about love. Can he earn her trust? To order: Kindle. Nook. Kobo. iTunes. Smashwords. Twin Surprise. A Heartwarming Love Story. Her girlfriends bought him at a bachelor auction. Now she’s expecting twins! Scarred from a near-fatal accident, Marta Lawson is shy around men, especially handsome police sergeant Derek Reed. She has no idea he’s guarding a painful secret. To order: Kindle. Nook. Kobo. iTunes. Smashwords.